Every four years, a $7,500 prize is presented to a midcareer/established local artist for their outstanding body of work and significant contribution to the artistic discipline in a photo/lens-based medium. Over the subsequent three-year period, the laureate is also invited to hold an exhibition of his/her work at the Karsh-Masson Gallery, mentor within the local artistic community and participate in the Karsh Continuum exhibition. In 1932, Yousuf Karsh opened his studio in Ottawa on Sparks Street, where he remained for 40 years. In 1937 Yousuf's brother Malak immigrated to Canada to apprentice with his brother. Yousuf Karsh was born in Mardin, Armenia in Turkey, in 1908 and came to Canada in 1924. After brief schooling in Sherbrooke, Quebec, Karsh studied photography for three years under John Garo of Boston, an eminent portrait photographer of the day. In 1932, Karsh opened his studio in Ottawa on Sparks Street, where he remained for 40 years. He moved to the Chateau Laurier in 1972. As his work became better known, members of government, visiting statesmen and other dignitaries came to him to be photographed. Karsh's portrait of Winston Churchill, taken in Ottawa in 1941, brought him international prominence and is one of the most widely reproduced portraits in the history of photography. Other world figures photographed by the artist include Nelson Mandella, President and Mrs. Kennedy, Lester Pearson, Pierre Elliot Trudeau, Pope John Paul II, President and Mrs. Clinton, Eleanor Roosevelt and Albert Einstein. Artists include Pablo Picasso, Georgia O'Keefe, Andy Warhol, Stephen Leacock, Ernest Hemingway, Luciano Pavarotti, and Glenn Gould. Karsh published over 10 books between 1946 and 2003, and collaborated by illustration on many more. Many of his portraits were accompanied by text giving the artist's impression of, and experiences with, the subject of the photo. He died in 2002 in the midst of the preparation of Karsh: A Biography in Images, published by the Museum of Fine Arts in Boston, in 2003. During his lifetime, Karsh held extensive one-man shows in major cities around the world. His work is represented in the permanent collections of The National Gallery of Canada, Museum of Modern Art in New York, The Metropolitan Museum of Art in New York, The Chicago Art Institute, The Boston Museum of Fine Arts, The National Portrait Gallery in London, Le Bibliothèque Nationale in Paris, The National Portrait Gallery of Australia and many other museums in Canada and around the world. 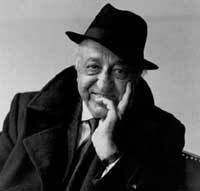 In 1999, the International Who's Who chose Yousuf Karsh as one of the 100 most influential figures of the 20th Century. Among the other famous people listed, Karsh had photographed more than half. He once said, "My chief joy is to photograph the great in heart, in mind and in spirit, whether they be famous or humble." Malak Karsh was born on March 1, 1915, in Mardin, Armenia in Turkey. He immigrated to Canada in 1937 to apprentice with his brother, famous portrait photographer, Yousuf Karsh. After learning the fundamentals of photography, Malak chose to specialize in industrial photography and pictorial journalism. In 1941, he opened his first studio on Sparks Street in Ottawa, with the help of his secretary and assistant, Barbara Holmes, who later became his wife, partner in business for life, and mother of their four children. Malak used his first name only to identify his business and photographs. Malak's photos of the nation's capital, awash in a sea of tulips, made his name known internationally. In 1952, his fascination with the blooms led him to establish the annual Canadian Tulip Festival in Ottawa. His photographs graced the pages of many international publications including Canadian Geographic and The New York Times. Several stamps have been issued with his photographs, the most recent being the Canadian Tulip Stamp. The Canadian one-dollar bill displayed his work. In 2000, Malak received the key to the City of Ottawa and a street was named Malak Street in his honour. He was the recipient of the Order of Canada, the Whitton Award, and the National Film Board of Canada's Gold Medal. Malak Karsh died in 2001, leaving a legacy of beauty in his books: Ottawa and the National Capital Regions; Canadian Museum of Civilization; Canada: The Land That Shapes Us; A Capital of Tulips; The Parliament Buildings; Tulips; and, Malak's Canada. Every four years, in honour of the enduring legacy of Yousuf and Malak Karsh, the City of Ottawa recognizes a local mid-career or established artist for their outstanding body of work and their significant contribution to the artistic discipline in a photo/lens-based medium. mentor and/or engage the local photographic/lens-based community by leading one or more activities, such as a workshop, portfolio evaluations, lecture, etc. In 2017, to acknowledge Canada’s sesquicentennial, the City of Ottawa presented the exhibition, Continuum: Karsh Award artists welcome a new generation. Emerging Ottawa artists were selected by past Karsh Award laureates to participate in this special exhibition celebrating the future of artistic achievement in a photo-based medium. To continue to foster an ongoing dialogue around photo/lens-based work, the City of Ottawa will invite future Karsh Awards laureates to participate in this new exhibition by either curating, selecting local photo/lens-based artists or selecting an independent curator for the 2022 Karsh Continuum exhibition. Artists selected to participate in the exhibition will receive $2,000 each and associated CARFAC exhibition fees. City of Ottawa employees and elected representatives are ineligible for this award. Past laureates cannot be re-considered for the award for a period of 10 years. * City staff reserve the right to ask for proof of Ottawa residency, which is established by providing a CRA Notice of Assessment (the statement you are sent after filing an annual income tax return) for the previous year, indicating a current residential address in Ottawa. The nominator is responsible for gathering the materials listed and for submitting them to the Cultural Funding Support Section by the deadline date. Support material is intended to provide the evaluation committee with an overview of the artistic merit of the nominated candidate’s work and provide a history of his/her development in an independent, non-commercial photo/lens-based art practice. To demonstrate the nominee’s range of work, with emphasis on more recent imagery, a maximum of 20 examples in digital image format must be provided. For details on supported digital submission formats please refer to the submission requirements as stated in the Nominee Form: Support Material – Image List. Submissions will be assessed through an arm’s length peer evaluation process. A jury composed of professional artists, curators and/or arts professionals will review each submission based on the assessment criteria of the Karsh Award program and select a winning laureate. Jury members are selected by the Cultural Funding Support Section for their expertise, knowledge and engagement within photo/lens-based arts practices. The City of Ottawa adheres to Conflict of Interest and Confidentiality policies in the selection of peer assessors. For more details, please contact the Cultural Funding Support Section. The laureate and nominator will be notified of the results approximately four months after the deadline date. The laureate and nominator must agree to keep the results confidential until the date of the public announcement, which will take place in early 2020. Please note that results cannot be released over the telephone. Deadline for submission entries is Monday, January 7, 2019 at 4 pm. All nominations must be received by the deadline date, postmarked on that date, or earlier. Late submissions will not be accepted. If you wish to have support material returned, please enclose a self-addressed envelope with the required postage. Do not send originals. The artist agrees that the City of Ottawa is not responsible for the loss or damage of applications and/or support material. Deadline for submission is Monday, January 7, 2019 at 4 pm. All submissions must be received by the deadline date, or postmarked by that date. Late submissions will not be accepted. Guidelines and nomination forms will be available in October 2018. Continuing an intergenerational chain of mentorship that fosters camera-based innovation, past Karsh Award laureates have selected seven emergent artists: Joi T. Arcand, AM Dumouchel, Leslie Hossack, Olivia Johnston, Julia Martin, Meryl McMaster and Ruth Steinberg. Presented as part of Canada’s 150th anniversary, this special exhibition celebrates the future of artistic achievement in a photo-based medium. Mayor Jim Watson will officially open the exhibition presented at Karsh-Masson Gallery during a special event to be held on Thursday, September 14, 2017, 5:30 to 7:30 pm at Ottawa City Hall, Jean-Pigott Place, 110 Laurier Ave W. The event and vernissage are open to the public. We hope that you will be able to join us for this celebration of artistic excellence. The City of Ottawa is pleased to announce that Michael Schreier is the recipient of the 2016 Karsh Award. The Karsh-Masson Gallery hosted the exhibition The Karsh Award 2016: Michael Schreier – Camera Obscura from September 8 to October 16, 2016. The award was presented on Thursday, September 15 at the Karsh-Masson Gallery. The 2016 Karsh Award jury is pleased to nominate Michael Schreier for this prestigious prize. Schreier has contributed significantly to photographic practice in Ottawa through his rigorous yet poetic exploration of the expressive potential of the photographic image and through his extensive teaching and mentoring of young talent. His deliberate approach to photography has always been focussed on the act of photographing and on the image itself. He has a way of finding ordinary yet unusual subjects for his portrait images, allowing the viewer to reflect on the expressive potential of the images themselves, regardless of the fame or notoriety of their subjects. He has produced series with such evocative titles as Tears for an Empty Desert, 2004 and Comedy of Postures, 1996, which challenge the viewer to find the link between the individual images, the series and the title. In his current blog “Camera Obscura,” Schreier explores the connection between photographs and memory, compelling the viewer to formulate a narrative to accompany the images and to reflect on the transience of the photographic image (Why this moment and not the next?). Furthermore, he juxtaposes poetry, music and image, resulting in a gentle variation on the essence of photography. The title and components of Storyteller/Waiting for Words, 2009 perhaps best exemplify Schreier's search for meaning in the photographic image and series. Chantal Gervais’ photo and video works deal with representation, identity and the relationship between the body and technology. Theatrical, yet sensitive, her works revel in the body’s corporeality, its vulnerability and strength. In a series of self-portraits created using magnetic resonance imaging (MRI) and flatbed scans, she pushes photographic boundaries by transforming scientific data into personal and revealing studies of identity. Her distinct bodies of work expand upon an ongoing narrative that reflects on the emotional and physical responses to our mortality and human condition. Formally trained in Ottawa and London (England), Chantal Gervais has been living in Ottawa since 1990. Committed to her community, she has worked as an instructor at the University of Ottawa and Ottawa School of Art and has been a board member at local artist-run centres including Gallery 101 and Daïmôn. Her work has been in numerous exhibitions in Canada and abroad. She is the recipient of municipal, provincial and national grants and awards, among them the Canada Council for the Arts’ 2002 Duke and Duchess of York Prize in Photography. Rosalie Favell, I awoke to ﬁnd my spirit had returned (Plain(s) Warrior Artist). Courtesy of the artist. Rosalie Favell is a photo-based artist who uses a variety of sources, ranging from pop culture to family albums, to present complex self-portraits of her experiences as a contemporary Aboriginal woman. In this image, as in all of her work, the photograph is a performance space where identity is constantly worked and reworked, represented, and perhaps hidden. Her images present the artist’s restlessness, longing, and struggle to find her place in the world. Born and raised in Winnipeg, Manitoba, Rosalie Favell draws inspiration from her family history and Métis (Cree/English) heritage. She studied photography at Ryerson Polytechnical Institute (Toronto), received an M.F.A. from the University of New Mexico and pursued doctoral studies (ABD) at Carleton University (Ottawa). She has had solo exhibitions across North America, Taiwan and Scotland. She has been the recipient of several provincial and national grants and awards including the Ontario Arts Council Chalmers Arts Fellowship and the Canada Council Victor Martyn Lynch-Staunton Award. Born in 1954, Tony Fouhse is an Ottawa-based photographer, who, for the past 30 years, has balanced his editorial and commercial work with his personal artistic practice. Fouhse, a sophisticated portrait photographer, began by training his camera on the street and never abandoned his roots. His humanist artistic vision has been influenced by his sensibility of the street and its lessons. His work has been featured in numerous publications and exhibited in galleries throughout North America. Although the people he photographs are frequently outsiders estranged from our demographic centre, his edgy and compelling portraits break down the distance that social differences set up. Sometimes troubling, his images demand active looking from the viewer; obliging us to wrestle with our own unacknowledged assumptions. Fouhse does not judge by pointing his camera ‘up’ or ‘down’ but rather negotiates images of his subjects with an empathy based on mutual respect. He sets the stage by planting his metaphorical tripod right in front of you and then lets you just “be”. A photographer with a strong sense of place and a deeply democratic view of his fellow human beings, Fouhse has been commended for the emotional honesty of his portraiture. Jeff Thomas, Memory Junction. Courtesy of the artist. Jeff Thomas is an ‘urban Iroquois’ artist, born in the city of Buffalo, New York in 1956. His parents and grandparents were born at the Six Nations reserve, near Brantford, Ontario and left the reserve to find work in the city. Thomas’ photographic practice is concerned with issues of First Nations identity and politics. A photographer and curator, his specialty is the exploration of historical cultural resources to bring voices, stories and perspectives into the present. In his curatorial projects, Thomas has mined archival vaults for non-Native visual and written records to recover lost elements of Aboriginal history. His photographic works appear in many major collections in Canada, the United States and Europe and have forged new sources of research and knowledge that inspired increased awareness and contributed to an informed discussion of current Aboriginal issues. Recognized for its great cultural significance and innovation, Thomas’ work has helped to assert a contemporary Urban Aboriginal identity. Robert Bourdeau is a self-taught artist who took up photography as his lifetime practice in the late 1950s after meeting influential American photographer Minor White. Using a large format camera, Bourdeau creates images from negatives as large as 8” x 10”. At this size, the film captures more detail than the eye can physically see in its place. His flawless printing exposes a personal relationship with natural and man-made environments and renders visible the ceremonial importance he has ascribed to the physical practice of photography and the spaces he captures. Bourdeau renders natural and unnatural formations into tapestry-like abstractions, erasing the single viewer vantage point and instead employing an expansive consideration for nature’s architecture, its uniqueness and spiritual bounty. Through his reverent collecting and personifying of decaying man-made industrial sites, Bourdeau’s practice has evolved from the formal and remarkable to the iconic and timeless. Justin Wonnacott, I remember and I forget, 2007. Courtesy of the artist. 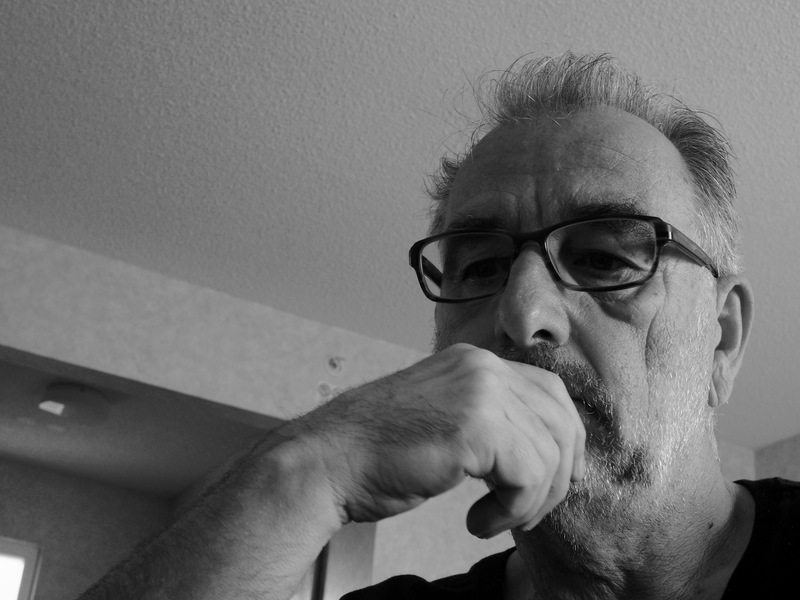 Born in Belleville, Ontario in 1950, Justin Wonnacott moved to Ottawa in 1974 to work in a commercial studio where he later worked as a photojournalist and commercial photographer. In the late 1970s he changed his career focus to become an artist, photographer, curator,teacher and visual historian. Wonnacott's works are as varied as his interests. He began by investigating documentary methods, later adopting a theatrical approach to photography, and in the 1990s he explored digital photomontage. His most recent large format photomontage works are informed by political photomontage and his dual relationship to photographs as a picture maker and consumer. Wonnacott continues to add to a major project concerning public art in the National Capital Region, and to a contemporary image archive of Somerset Street among other pursuits, including a pictorial body of work titled "I remember and I forget", which refers to the genre of the still life and to himself. Throughout, his pursuits reflect his passion for understanding social meaning in the photographic image. Lorraine Gilbert, Doing the Dishes, 2002-2003. Courtesy of the artist. Lorraine Gilbert is an artist, educator and graphic designer. She holds a Bachelor’s degree in Environmental Biology and a Masters of Fine Arts. Her photographic practice, largely influenced by her interest in biology and nature, investigates the extraordinary in nature and how it can be accessed by ordinary means. Depicting gardens, urban and wild landscapes, and the results of forest harvesting in the West, her images make us reconsider the ties between culture and nature. To further these investigations, Gilbert continues to work with Boreal Art/Nature, an artist-run center based in the Laurentian Mountains of Québec where she also helped to organize international expeditions and residencies at a home she shared with two others on 100 acres of forest, field and lake. Working at the crossroads of issues raised by contact between hi-tech culture and wild nature, Gilbert is “interested in the difference between ‘the landscape’ as an ideal or essential vision and the nature that it represents in this age of experience-by-proxy.” Her work strives to separate reality from the photograph while still preserving the illusion of truth, so important to the art of photography.